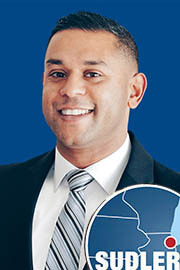 Michael Mathews joined the Sudler team in 2011. With dedication and discipline, he worked his way up from an Assistant Property Manager to Account Supervisor. Before joining Sudler, he worked in the facilities-management and construction industries where attention to detail and precise organization skills are learned and valued. Michael is an efficient professional who oversees every aspect of each property in his portfolio with keen attention, and he focuses each client’s best interests. He is known for this dedication and for his ability to achieve agreed-upon goals. Michael is a Certified Manager of Community Associations (CMCA), holds the State of Illinois Community Association Manager License (CAM). He earned his Bachelor’s Degree in Business Administration from Saint Xavier University.